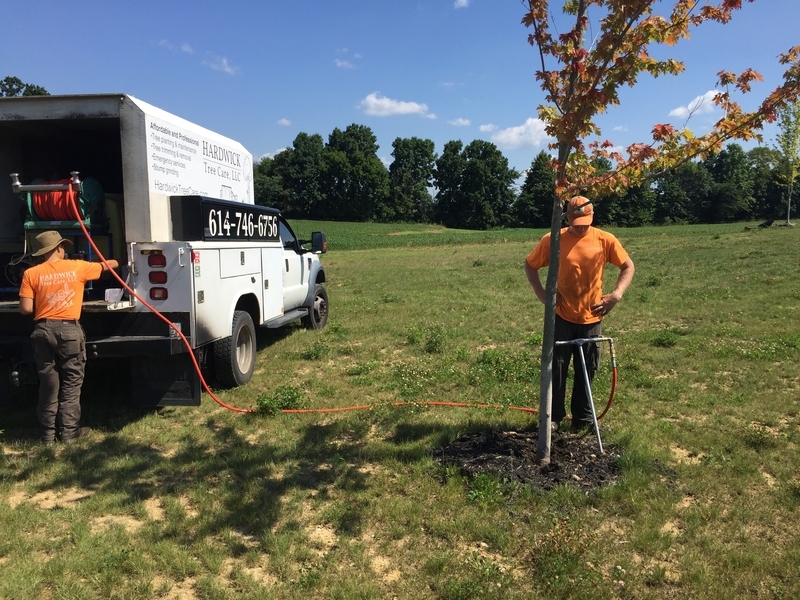 We use truck mounted compressed air to excavate around tree roots to relieve soil compaction and allow trenching for utility lines without excessive root damage. 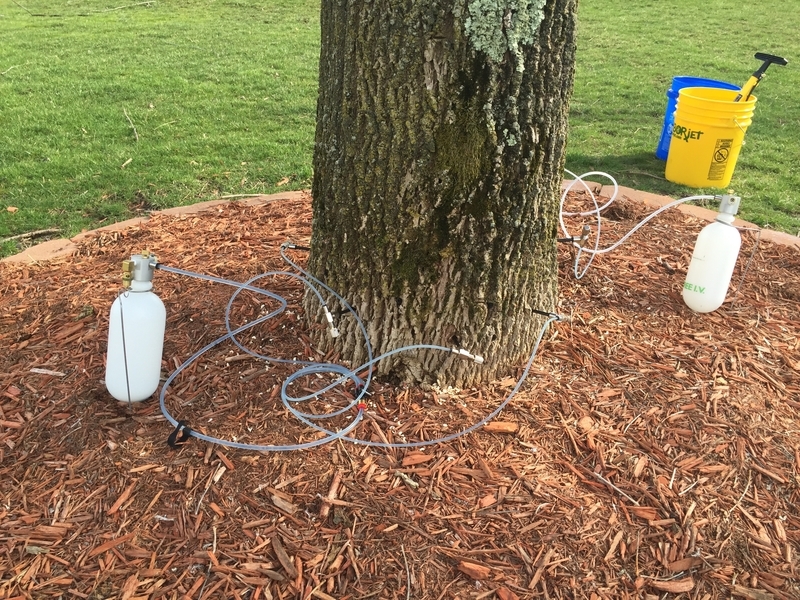 We use the Arbor-Jet system for our trunk injectable products. 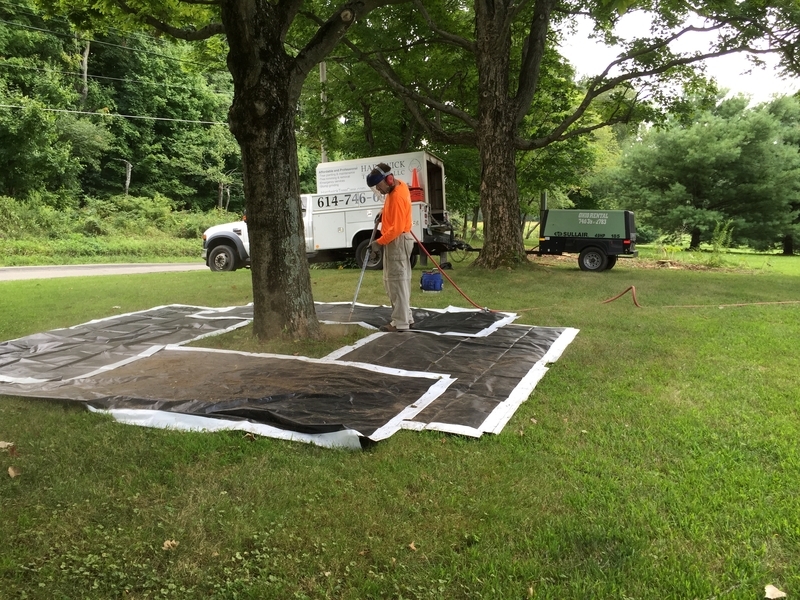 This is the safest way to treat large trees because it keeps pesticides out of the air and systemically delivers the product to the entire tree. 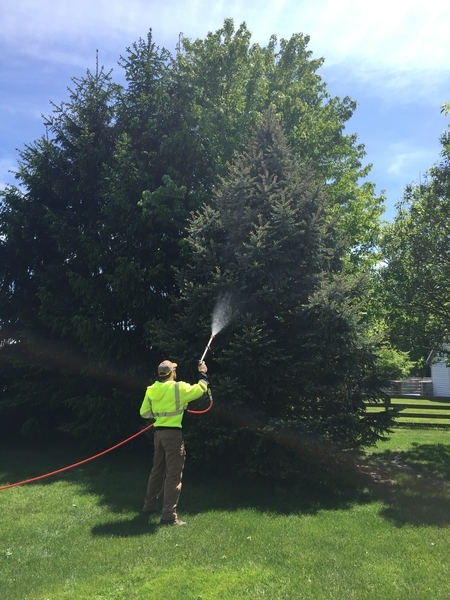 For products that need to be absorbed quickly by the tree, and are low in toxicity to people, we can spray the product on the foliage. This is often fertilizer, minerals, or some fungicides. Good old fashioned spread it on the ground. 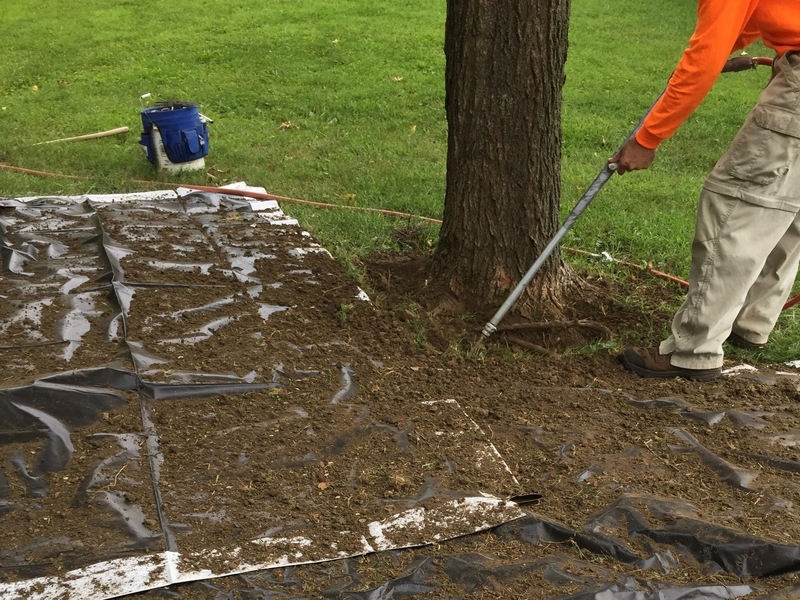 As easy as this sounds, it is important to know where the tree roots are, how much product is needed and how to properly apply the product to get it to the proper plant. 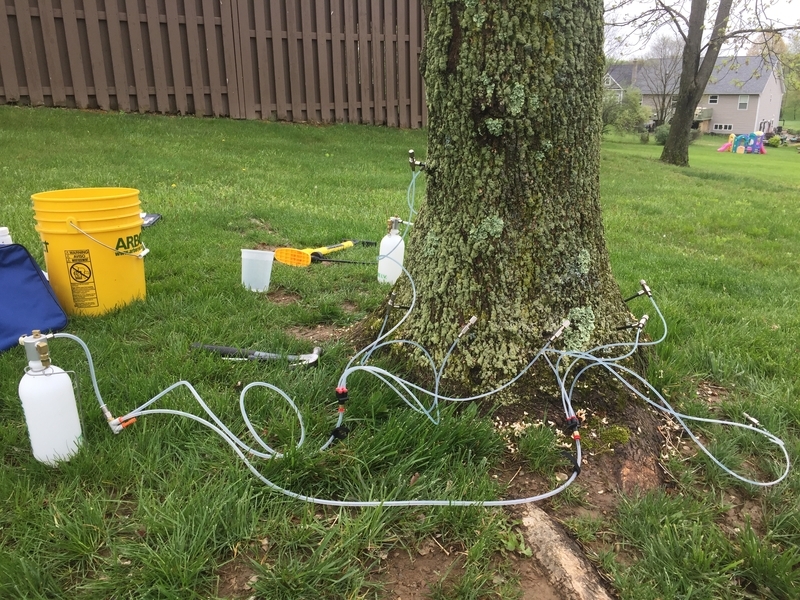 Hydraulic injection of fertilizers and and micronutrients into the soil around the tree.